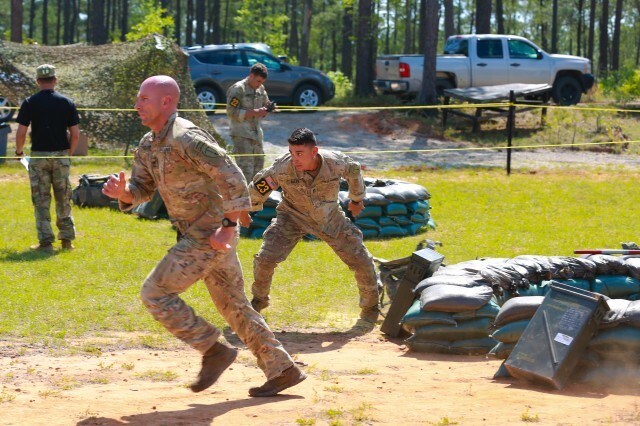 FORT BENNING, Ga. (April 15, 2018) -- Only 16 teams remain during the third and final day of the 2018 Best Ranger Competition April 15 at Fort Benning, Georgia. After the day stakes on the second day, only the top 16 teams continued with the multi-day challenge that began in the morning April 13 with 51 teams. Those 16 teams were flown by helicopter to Dahlonega, Georgia, where the Airborne and Ranger Training Brigade conducts the mountain phase of Ranger School. There the teams conducted night orienteering. 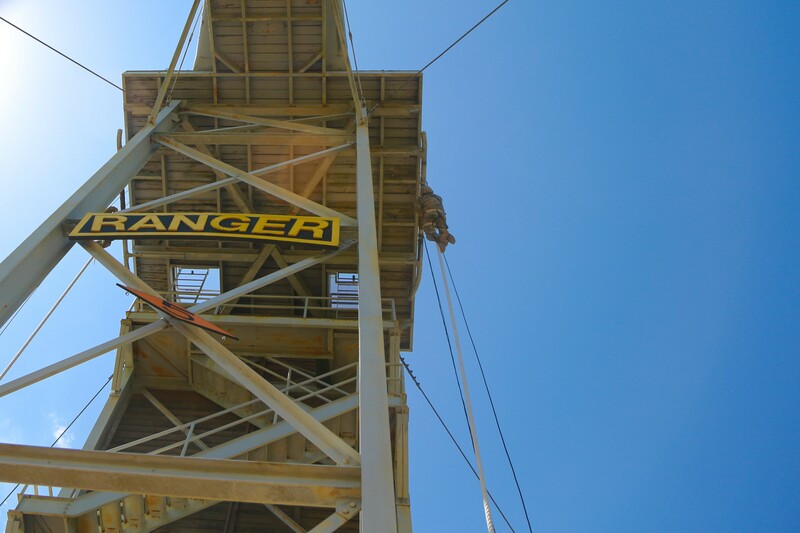 The David E. Grange Jr. Best Ranger Competition was organized in 1982 to determine the best Ranger in the Ranger Department, but has since expanded to include all Ranger-qualified Soldiers throughout the entire Army and other willing Ranger-qualified service members from sister services. The competition tests the team members' physical abilities, mental agility, and technical and tactical skills under stressful conditions throughout three days with no scheduled sleep. 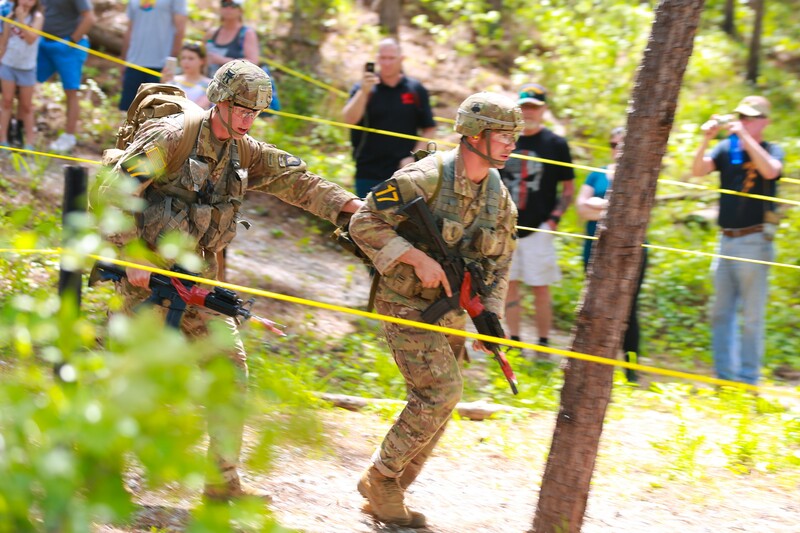 Competitors were scored on many events, including a buddy run, a body armor run, obstacle courses, weighted carries, a swim, weapon ranges, and more on the first day. After a night of marching and night stakes, teams competed in the Spartan Run at Dekkar Strip and in day stakes at Todd Field for the second day. On the third day of Best Ranger, the teams are scheduled to run the Darby Queen obstacle course at Camp Darby, to perform a helocast into Victory Pond, where they will make a raft out of a poncho, perform water survival, and perform a final buddy run to Camp Rogers where the competition began. Final updated cumulative point results are scheduled to be posted in the afternoon April 15 on the Maneuver Center of Excellence and Fort Benning's news page and to MCoE and Fort Benning social media.